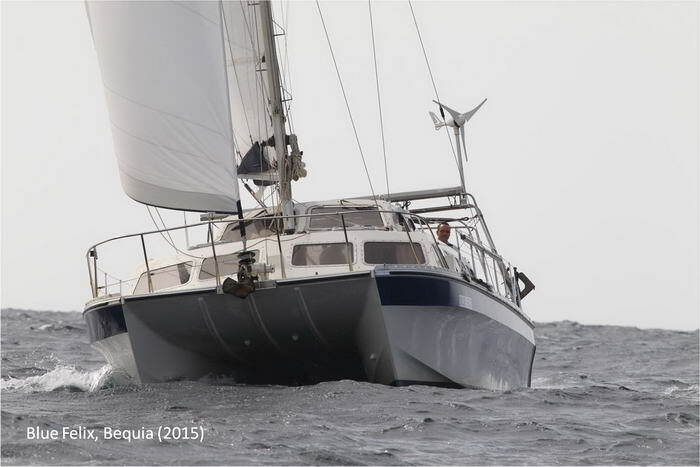 Catalac 10M catamaran has an impeccable safety record. 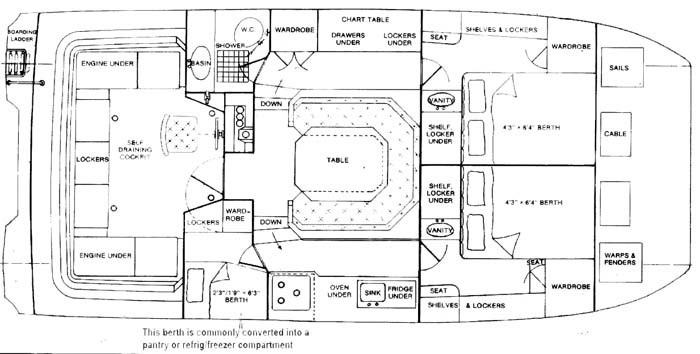 features two large forward cabins, one head and a small rear cabin that almost all boat owners have converted into a galley extension ( see layout and video below ). 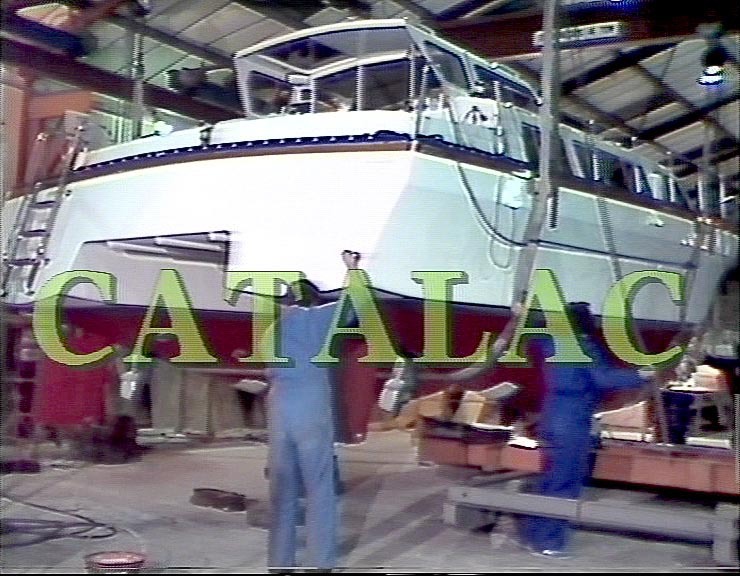 The Catalac 10M is a solidly built boat powered by twin Yanmar diesel sail drives. 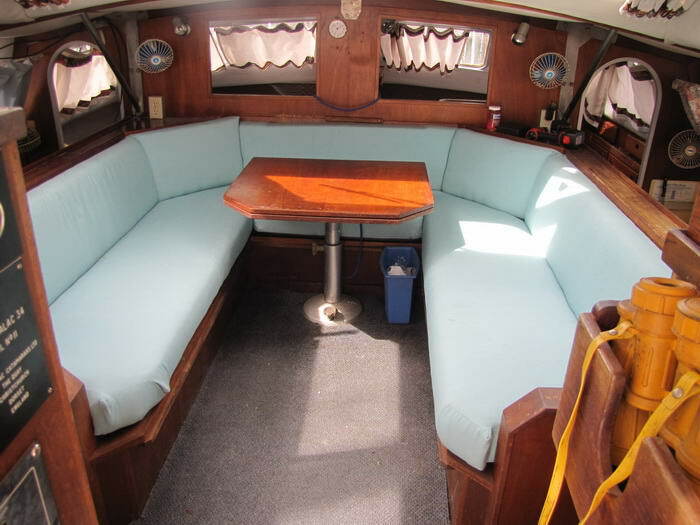 These boats have a very popular layout, and sell very quickly if they appear on the market. Sailing this boat long distances single handed, won't be an ordeal. 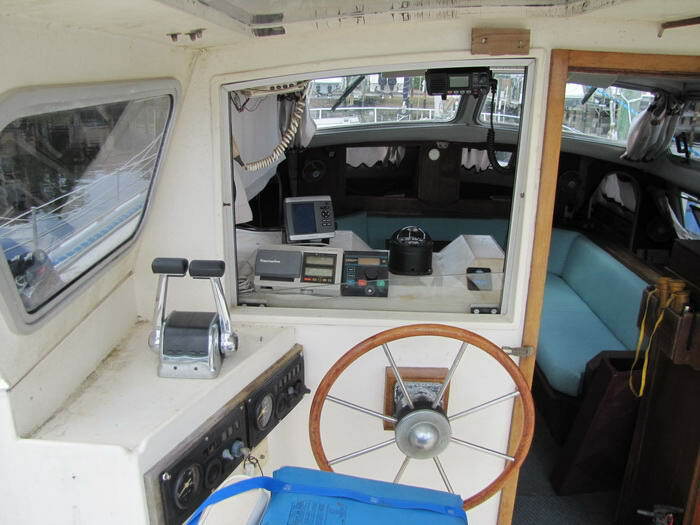 The Catalac 10M (like many other cats) lets you control the boat from what basically feels like your living room. The hydraulic steering system makes steering effortless. visiting the Bahamas. And note that since the beam of this boat is 15ft 6in, including a large rub rail, this avoids the surcharge that most overly wide catamarans must pay at marinas. 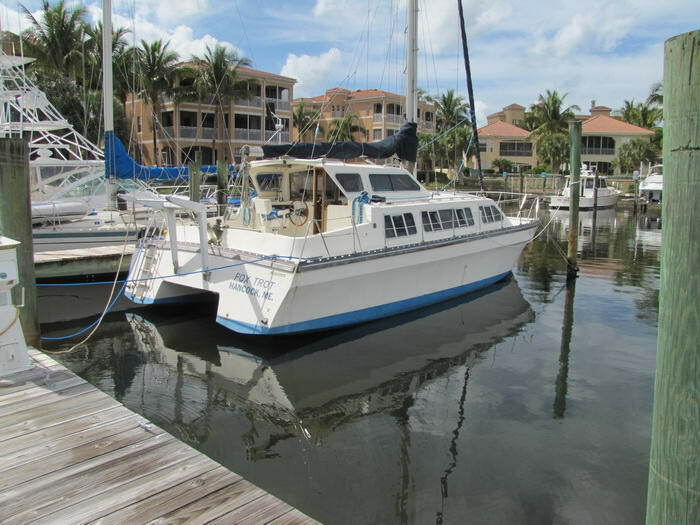 In addition, that 15-1/2ft beam allows this boat to get in to many slips and not always be consigned to the farthest end of the dock at the T. Also just because this boat is great for the ICW, Keys, and Bahamas don’t think for a minute this is a weak boat. 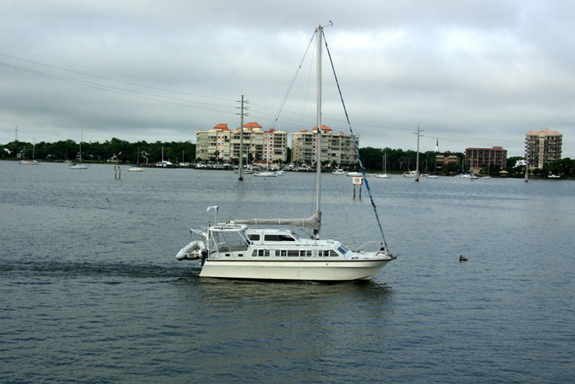 She has solid fiberglass hulls with the hull-to-deck joint done right, with ¼ SS Bolts every 6 inches. What's more is there are crush areas in each bow below the waterline and check out the tabbing on the bulkheads. Of note is that all opening ports (actually they're large opening windows) are tempered glass not the cheap Plexiglas found in almost all catamarans. 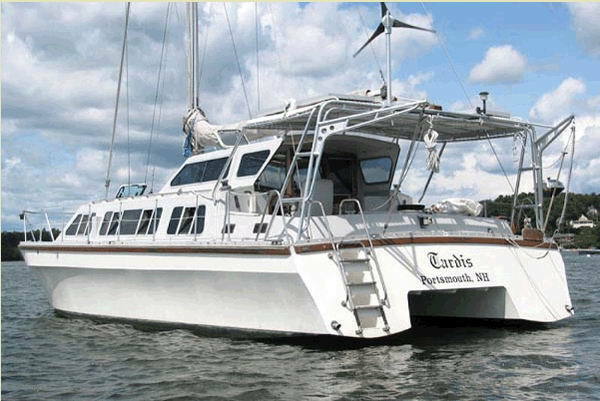 These Catalac windows look as good now as the day they were installed and no other catamaran can make that statement. These boats were built so well that all of them are still sailing today and people who own them tend to hang onto them. 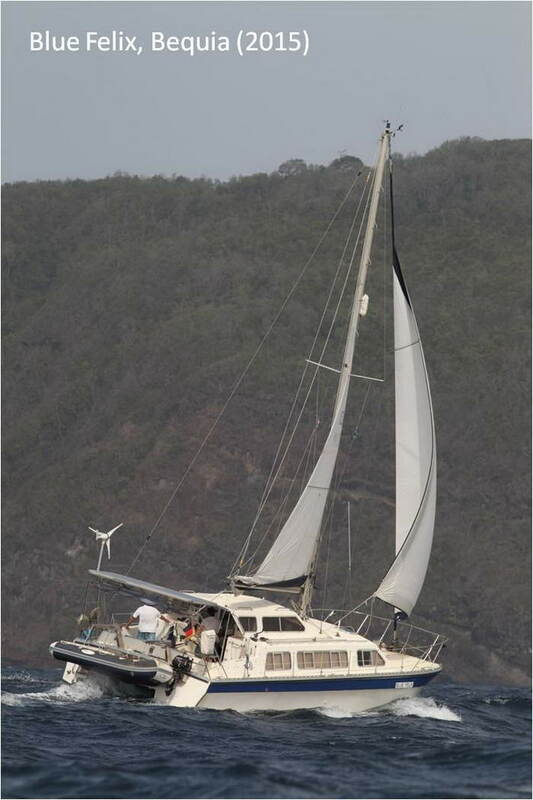 No Catalac has ever lifted a hull out of the water on any point of sail. 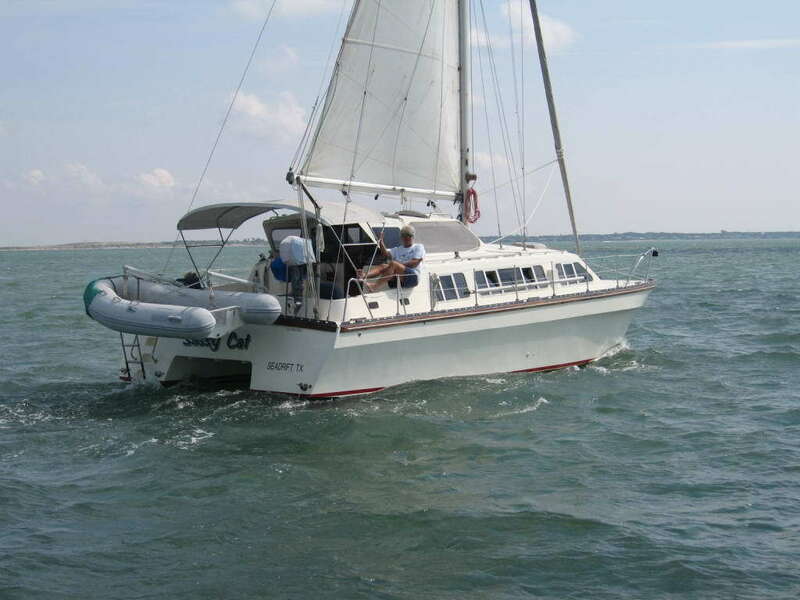 Only one Catalac (of 600 boats) has pitched poled and it had a modified mast. Bolted and glassed hull deck joint - no leaks. 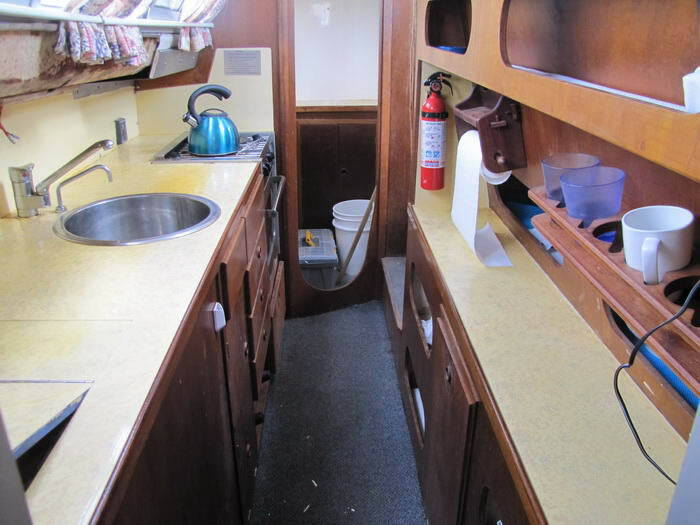 Galley down, but over 6' of continuous window right in front of your face at eye level and below while preparing food. You can see just about 180 degrees of outside view while cooking. Saildrives are a compromise, and maintenance is higher. Like all cats, she's sensitive to overloading. With too much gear, full water and fuel, you can easily lose a knot off the top. All in all, a true live aboard cruiser that is built to withstand just about anything thrown her way. Mast height: above water: 45'3"